Professor Lok Siu is a cultural anthropologist and faculty of Ethnic Studies at UC Berkeley. 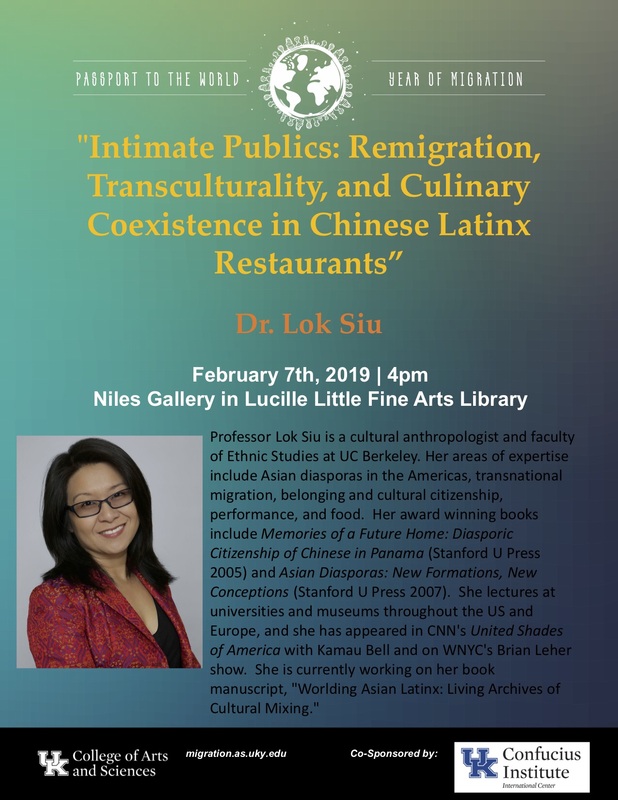 Her areas of expertise include Asian diasporas in the Americas, transnational migration, belonging and cultural citizenship, performance, and food. Her award winning books include Memories of a Future Home: Diasporic Citizenship of Chinese in Panama (Stanford U Press 2005) and Asian Diasporas: New Formations, New Conceptions (Stanford U Press 2007). She lectures at universities and museums throughout the US and Europe, and she has appeared in CNN's United Shades of America with Kamau Bell and on WNYC's Brian Leher show. She is currently working on her book manuscript, "Worlding Asian Latinx: Living Archives of Cultural Mixing."